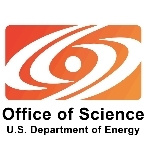 Located within the Department of Energy, the Office of Science is one of the federal government’s largest distributors of research money for science exploration. The office supports research in areas ranging from high-energy physics to nanoscience to bioenergy. Much of the work funded by the Office of Science involves research universities from across the country, including some of the top schools in academia. By the close of World War II, the United States was at the dawn of a new era. With the development of the first atomic bombs through the Manhattan Project, the federal government faced decisions over what to do with this new, highly powerful and potentially destructive energy source. Realizing the commercial as well as military potential of nuclear power, the federal government established the Atomic Energy Commission (AEC) in 1946 and transferred to it the responsibility for atomic energy research from the War Department. The AEC oversaw research programs in nuclear and radiation physics, as well as chemistry and applied mathematics, much of which was carried out by universities and national laboratories in conjunction with research labs owned by private companies. In the early 1970s the OPEC crisis prompted Congress to expand the research mission of AEC to include other forms of energy and related technologies. However, as the worry over energy supplies grew, lawmakers came to the conclusion that the AEC had outlived its usefulness and that a new government agency was needed to meet the energy challenge. On December 31, 1974, as part of a larger series of energy-related policy initiatives, the AEC was abolished and replaced by the newly created Energy Research and Development Administration (ERDA). Chartered with an expanded research mission, the ERDA was responsible for programs involving nuclear, solar and geothermal power, fossil fuels, and energy conservation. The ERDA, however, was short-lived. President Jimmy Carter believed that a cabinet-level department was needed to address the country’s energy concerns. Thus, in 1977, the Department of Energy (DOE) was established. It gathered under one authority most of the energy-related activities that had evolved during the 1970s among a number of federal agencies. Included in the reorganization were the missions of the ERDA, the Bureau of Mines, the Federal Energy Administration, and the regulatory responsibilities of the Federal Power Commission. Under the DOE, energy technologies were not divided by fuel type, such as fossil, nuclear or solar, but grouped under assistant secretaries ranging in responsibilities from research and development to application and commercialization. Over time the DOE placed less emphasis on research of nuclear power in favor of other energy sources. This work was done within the department by the Office of Energy Research (OER), which was established at the same time the DOE was created. The OER managed R&D programs, as well as laboratories conducting non-weapons-related research. It also oversaw education and research activities that promoted science careers. These duties continued after OER’s name was changed to the Office of Science in 1999. The Office of Science (OS) is one of the federal government’s largest distributors of research money for science exploration. As the single largest supporter of basic research in the physical sciences, the office provides more than 40% of total funding in this area. It also oversees research programs in high-energy physics, nuclear physics, fusion energy sciences, basic energy sciences, biological and environmental sciences, and computational science. In addition, the Office of Science is the federal government’s largest single financial supporter of materials and chemical sciences, and it supports programs involving climate change, geophysics, genomics, life sciences, and science education. The OS operates six interdisciplinary program offices: Advanced Scientific Computing Research, Basic Energy Sciences, Biological and Environmental Research, Fusion Energy Sciences, High Energy Physics, and Nuclear Physics. It also sponsors a range of science education initiatives through its Workforce Development for Teachers and Scientists program. Additional programs supported by the OS are: Office of Project Assessment, Safety, Security, and Infrastructure, and the DOE Small Business Innovation Research and Small Business Technology Transfer. Another key duty of the OS is managing the “crown jewels” of America’s national laboratory system. Considered the most comprehensive research system of its kind in the world, the 10 labs are: Argonne National Laboratory; Brookhaven National Laboratory; Lawrence Berkeley National Laboratory; Oak Ridge National Laboratory; Pacific Northwest National Laboratory; Ames Laboratory; Fermi National Accelerator Laboratory; Thomas Jefferson National Accelerator Facility; Princeton Plasma Physics Laboratory; and Stanford Linear Accelerator Center. The OS also oversees the operation of some of the nation’s most advanced R&D user facilities located at national laboratories and universities. These include particle and nuclear physics accelerators, synchrotron light sources, neutron scattering facilities, supercomputers and high-speed computer networks. In FY 2012 these facilities were used by more than 29,000 researchers from universities, national laboratories, private industry, and other federal science agencies. DOE BioEnergy Science Center (Oak Ridge National Laboratory). This center focuses on the resistance of plant fiber to breakdown into sugars and is studying the potential energy crops poplar and switchgrass. DOE Great Lakes Bioenergy Research Center (University of Wisconsin in Madison, in collaboration with Michigan State University in East Lansing). This center is studying a range of plants and, in addition to exploring plant fiber breakdown, aims to increase plant production of starches and oils that are more easily converted to fuels. This center also has a major focus on sustainability, examining the environmental and socioeconomic implications of moving to a biofuels economy. DOE Joint BioEnergy Institute (Lawrence Berkeley National Laboratory). This center will concentrate on “model” crops of rice and Arabidopsis, in the search for game-changing breakthroughs in basic science and is exploring microbial-based synthesis of fuels beyond ethanol. The OS also supports education programs. Approximately a third of the office’s research funding goes to support research at more than 300 colleges and universities, mostly to graduate students and postdoctoral researchers early in their careers. Nearly half of the 25,000 researchers that use the office’s facilities are university students and faculty. The office also conducts outreach to K-12 schools to help improve students’ knowledge of science and mathematics and their understanding of global energy and environmental challenges. To attract and encourage students to pursue science or engineering educations, the office supports the National Science Bowl®, an educational competition for high school and middle school students involving all branches of science. Each year, the National Science Bowl® attracts over 14,000 students from across the country. During its 22-year history, more than 225,000 students have participated. The Office of Science (OS) has spent more than $11 billion on contractor spending during the past decade, according to USAspending.gov. The top five types of products or services purchased by the office during this period were operation of government R&D facilities ($4,935,615,173), ADP and telecommunications ($693,763,792), engineering and technical services ($524,814,375), engineering and technical support ($477,659,319), and drugs/biological ($336,058,824). Some of the nation’s most prestigious universities operate the national laboratories and other research centers that the office manages. Key stakeholders, and the labs they help run, include: Iowa State University (Ames Laboratory); Princeton University (Princeton Plasma Physics Laboratory); Stanford University (Stanford Linear Accelerator Center); State University of New York (Brookhaven National Laboratory); University of Chicago (Argonne National Laboratory and Fermi National Accelerator Laboratory); University of California (Lawrence Berkeley National Laboratory); University of Tennessee (Oak Ridge National Laboratory); and University of Wisconsin/Michigan State University (Great Lakes Bioenergy Research Center). In addition to these higher education institutions, two university consortiums are involved with the work of certain national laboratories. The Universities Research Association, a consortium of 86 universities in the United States, with members also in Canada, Japan, and Italy, co-operates the Fermi National Accelerator Laboratory with the University of Chicago. Also, the Southeastern Universities Research Association, a collection of 60 universities from across the U.S., helps run the Thomas Jefferson National Accelerator Facility along with Computer Sciences Corporation. The state of Virginia and the City of Newport News, Virginia, also provide funding to the Thomas Jefferson National Accelerator Facility. The largest private contractor involved with the Office of Science is Battelle, an applied science and technology company that co-operates the Brookhaven National Laboratory with the State University of New York and the Oak Ridge National Laboratory with the University of Tennessee. Battelle also runs the Pacific Northwest National Laboratory without a university partner. Other private contractors help operate Sandia National Laboratories and Los Alamos National Laboratory, where the Center for Integrated Nanotechnologies is located. These lab contractors include Lockheed Martin Corporation, Bechtel, Babcock & Wilcox Technical Services Group and URS Corporation. The Department of Energy’s Office of Science (DOE OS) was swept up in controversy when details from an unpublished report emerged in 2011 alleging researchers at a national laboratory were accused of scientific misconduct. The allegations first surfaced in 2006 after an anonymous peer reviewer accused a research group at Oak Ridge National Laboratory (ORNL) in Tennessee of fabricating data in two manuscripts: a then-current submission to Nature Physics, which had not been published, and a paper that had been published in 1993 by the magazine Nature. The ORNL group was headed by Stephen Pennycook, an electron microscopist who produced a landmark paper on atomic-scale imaging. Pennycook, a pioneer of such techniques, had been pushing the limits of spatial resolution in electron microscopy to solve problems in a variety of research areas, including materials sciences, nanotechnology, and condensed-matter physics. That same year, Republican lawmakers challenged the Obama administration’s science czar over what they claimed were repeat incidents of “scientific misconduct” among agencies. In a letter to John Holdren, director of the Office of Science and Technology Policy, the GOP lawmakers, concerned that there was a trend developing, cited other controversies in recent years in which scientific findings were questioned or misinterpreted, covering topics ranging from a deepwater drilling moratorium to formaldehyde. The OS has been criticized for helping a contractor with its legal battle involving fraud. Battelle Memorial Institute, which has managed multiple national laboratories, including the Pacific Northwest National Laboratory (PNNL) for decades, has been in an ongoing legal fight with Philip Pulver, owner of a small business, Catalogs Online. Pulver approached PNNL in 2003 through the DOE’s Technical Assistance Program, which the lab has used to help hundreds of other private entrepreneurs, hoping it could help him develop specialized software to make hand-held electronic devices, such as cell phones, perform like desktop computers. After several years of waiting, Pulver says the PNNL gave him worthless software, then took his concept, fixed up the software, applied for a patent, and marketed the product commercially as its own, offering it to a Fortune 500 company. So Pulver sued Battelle. He has spent years on the case, as well as hundreds of thousands of dollars. Meanwhile, the OS has provided Battelle with more than $750,000 to help pay for its lawyers. The government says it has to pay for Battelle’s legal costs under a Cold War policy that mandates the Energy Department support contractors running national laboratories. Since 2004 under the George W. Bush administration, the OS saw its appropriations reduced either as part of President Bush’s proposed budget plan or by congressional Democrats. In 2005 the White House trimmed almost 4% from the OS budget. This decision stood in contrast to the administration’s support for greater research into new generations of nuclear power plants, which resulted in the Office of Nuclear Energy receiving even more money than it had requested (see Office of Nuclear Energy). One of the hardest-hit programs for the OS was the field of supercomputing, which sustained an almost 11% reduction. As a result of the budget cuts, some OS-funded experiments were shut down or delayed, and some scientists laid off. The cuts proved especially dangerous for a plan to have the U.S. serve as host of an international linear collider, which represented a significant loss for researchers involved in high-energy physics. In 2006, the Bush administration bolstered funding for OS programs. Those increases were cut, however, after negotiations between the President’s and congressional negotiators. “It was glorious for [fiscal year] ’07 and it was glorious in [fiscal year] ’08, and in neither case was it realized,” said Persis Drell, director of the Stanford Linear Accelerator Center, which terminated about 120 workers, including some scientists, from its staff of 1,600 because of budget cuts. Officials at the Fermi National Accelerator Laboratory, the nation’s top institution in particle physics, also decided to cut 10% of its staff. In 2008, the George W. Bush administration again proposed budget increases for research in the physical sciences, and Congress agreed to raise the annual budget of the Office of Science from $4 billion to $4.65 billion. The office’s 2009 budget request increased to $4.722 billion. Overall increases continued under the Obama administration, to $4.9 billion in 2010 and 2011, $5.4 billion in 2012, $5 billion in 2013, and a request for $5.15 billion in 2014.